At Geneva, we pride ourselves in bringing quality pre-owned cars from all over the world to the Weedsport, NY area. As a premium used car dealer, our hand picked inventory is always changing and new makes and models are available regularly. From Porsche and Bentley, to Audi and BMW, our selection of vehicles offers an array of sporty luxury, to classic elegance. Located off Lyons Road near Weedsport, NY, our dealership features an unparalleled staff of consultants with a diverse knowledge of foreign and American-made vehicles. 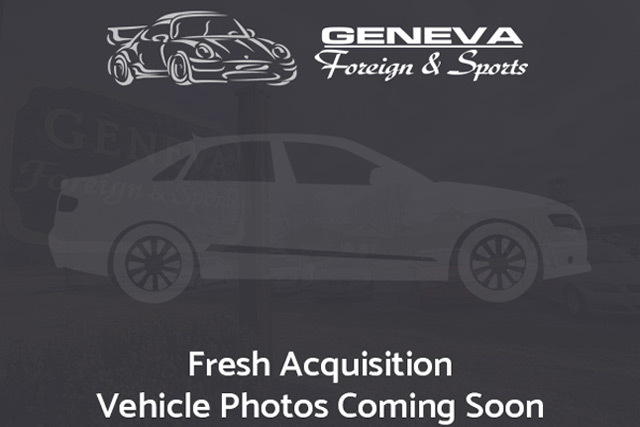 At Geneva Foreign & Sports, we are a family-owned used car dealer with a tight-knit group of individuals on staff. We’re devoted to helping you find the right vehicle for your lifestyle, as well as your budget. Whether you’re in need of used car financing, car repair, or looking for your next perfect vehicle to drive away in, our experts are here to help. Our Service Center offers new specials regularly and our exclusive inventory changes frequently, so there’s always something new to check out. Feel free to browse our inventory, schedule a service, or value your trade-in online. Please contact us with any questions you may have. As always, we look forward to assisting you in any way we can. Bought my dream car here after searching for over a year. Best experience ever. Team was great to deal with. Got in touch with me fast and continued to answer my several calls as we went thru the buying process with friendly service. I got a great car at a fair deal. I never felt pushed to make the purchase. Mike Hackett was my salesman who went over and above to make sure I was happy and satisfied with my purchase. I live almost 4 hours away but I can assure you I will look here first for my next purchase. Do yourself a favor and give them a try.